Charming Christmas getaways - Openstories Travel Blog! Many people enjoy travelling for Christmas and experiencing the festive period somewhere different. If you’re looking for some inspiration for your Christmas getaway, here are some charming destinations that will make the festive period truly special. If you can’t manage an extended break at Christmas, Paris is the ideal choice. Its close proximity to the UK means that there are plenty of travel options and it doesn’t take long to get there. You can book your flight Edinburgh Paris and be in the capital city within a matter of hours. 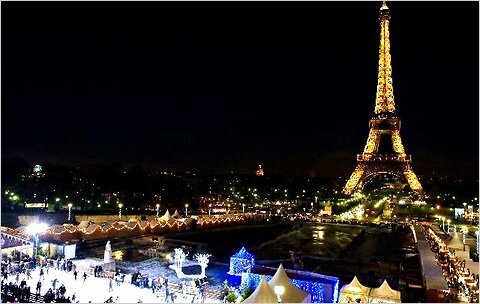 Christmas in Paris is a wonderful experience and there are plenty of festive events to get you in the spirit. The city is illuminated throughout Christmas and each of the different areas has its own particular décor or theme. Parisians enjoy the traditional carousel at Christmas and you’ll find them across the city, with children riding free during the key holiday period. Ice-skating is another popular pastime at Christmas, with four venues to choose from, including the large rink at Patinoire de L’Hôtel de Ville. If you want to admire the beautiful Christmas tress, Paris has something for the traditionalist and those who like a more contemporary display, including the 27-metre tree in the Galleries Lafayette. For those who fancy a warmer climate at Christmas, Johannesburg would be a fantastic destination. December is in the middle of the South African summer and you can fly from London to Johannesburg directly, so there’s no hassle with connecting flights. The city comes alive at Christmas, with a range of festive fun for everyone. 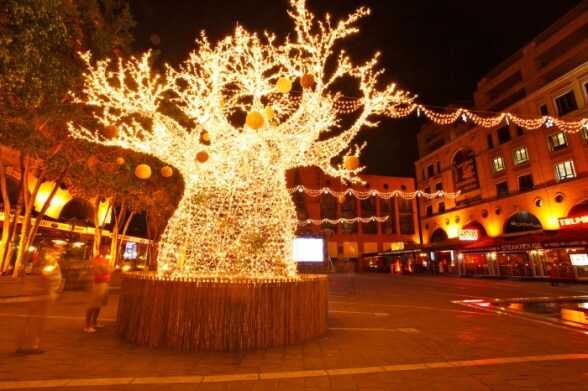 The leisure and casino complex, Montecasino, goes all out in the festive period and there are a range of activities for all the family, including shows, a Christmas market and the Christmas Village. If you need to get some last minute presents, Hyde Park Mall has more than 100 shops or you can try the Moonlight Markets. For an alternative Christmas Day, you can relax in the sunshine at Germiston Lake, with water sports, a playground and the bird sanctuary. 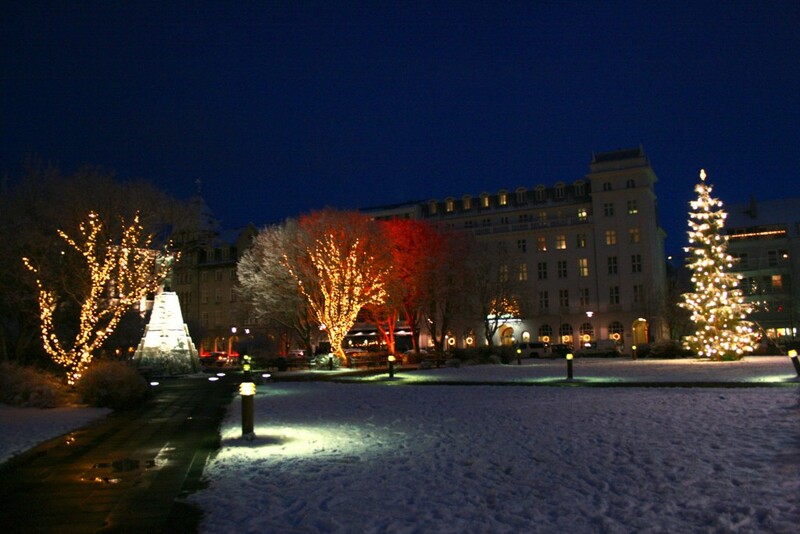 The traditional Christmas scene is a cold and snowy affair and you won’t find many places that fit this description better than Reykjavik in Iceland. Locals have their main celebrations on December 24th, when they’ll spend the day with family and friends, but there are a variety of events and attractions open across the festive period. If you’re in town in the build up to Christmas you must see the Nordic House, which is a live advent calendar that features comedians, musicians and other artists. There are plenty of Christmas shopping opportunities, including the Christmas markets at Elliðavatn Lake and Ingólfstorg Square, as well as the Hafnarfjordur Christmas Village. After the indulgence of the big day, you can relax in one of the thermal pools or take a stroll around the botanical garden. Each destination across the globe celebrates Christmas in a different way, so you can experience something new at the same time as having a relaxing holiday.